Being a true casino classic, roulette has acquired a huge popularity amongst gamblers all around the world. Whether it is online or in land-based casino, one can play several different variants of this casino table game. 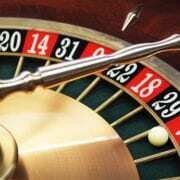 In this article, we will have a look at where and especially how to play roulette. From video wheel rules to the various variations of this game which can be found both online and in brick and mortar casinos, we will go over all the details players should be aware of in order for them to make the most of their roulette gaming experience. Nowadays, the amount of free online roulette games available and especially live roulette wheels can be overwhelming for game enthusiasts, this is why we have distilled our experience and knowledge into this comprehensive article to provide gamblers the guidance they are after in the universe of that famous table game. We will also focus on the best roulette casinos and offer gamblers a glimpse of what they can expect from playing online live, especially on which criteria they must take into account when choosing amongst the large live roulette portfolio offered by the most renowned providers. The latter includes Evolution Gaming, Authentic Gaming and Netent, since each new live roulette they develop is more exciting than the last – from classic forms of live wheel to Blaze roulette, lightning roulette and Immersive one, their productions are incredible. If you would like to find out all there is to know about that gaming product, keep reading! How and where to play roulette: online or in a land-based casino? When it comes to where one can play, there are several options available to gamblers, each of which provides a very different gaming experience. Players who enjoy roulette can give the wheel a spin in brick and mortar casinos for an authentic casino experience, surrounded by other table games enthusiast and facing a real flesh and blood dealer. Moreover, land-based casinos often provide customers with additional services, such as entertainment acts, bars, restaurants, hotel rooms and suites. This makes for a truly unique experience! If however you prefer playing from home, one can also turn to online casinos, for the latter offer a variety of free online roulettes. 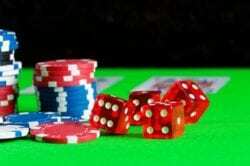 Both physical casinos and online casinos have an interesting portfolio with numerous versions to suit the needs of every specific type of player, such as American roulette, which is most commonly played in the USA, French roulette, a grand favourite amongst French players, or even Multi-wheel roulette and Progressive roulette. In recent years, an more and more online casinos have put on offer an option to suit gamblers who wish to play online roulette from their homes, yet without having to make any sacrifices on the quality of their experience when they play roulette online: live online casino roulette. This revolutionary version of free online roulette enables gamblers to further immerse themselves into the world of casino and allows them to play facing live dealers. As a matter of fact, these roulette tables are streamed from studios or even land-based casinos all around the world, and with the rise of HD quality video, advances in digital sound technology and the incredible variants of roulette live, playing roulette online has never been better. Roulette rules: “no more bet”! There exists a variety of different types of online roulette games, yet in this article, we are going to look at the rules of the three main variants of this widely popular wagering game played in all four corners of the world. The latter include the American roulette, the French roulette and the European roulette. First introduced to the Americas by mid-18th century European settlers, the wheel casino game took the US by storm. However, gambling halls owners were unsatisfied with the 2.7% house edge it offered, and therefore decided to increase it to 5.26% in order to in turn increase their revenues. Today, this variant of Roulette made famous in Las Vegas is mainly played in North American casinos. European roulette on the other hand was made popular in the gambling mecca which was Monte Carlo in the mid-19th century, for casinos were far from being widespread back then. The Blanc brothers came up with this version simply by adding a zero to the traditional French roulette, for it increased the house edge. It is now commonly found in European, Asian, and Latin American casinos. The traditional French roulette emerged in 18th century France and nowadays it is mainly popular amongst high rollers in France, Germany, and Eastern Europe. Roulette rules are rather straightforward. There is the roulette wheel with red and black slots each with different numbers ranging from 1 to 36. The number of zero slots depends on which variation of the game you are playing. Aside from the wheel, there is the table which also features the same numbers and several additional sections on which you can place your bets. Once all participants have placed their bets on the table, the dealer will spin the wheel and will throw in a small ball. The number slot in which the ball lands is the winning number. What makes American roulette so special is the fact that the wheel has a total of 38 pockets – 18 black, 18 red and two green pockets numbered 0 and 00. The latter are found on opposite sides of the roulette wheel game. The pockets are either red or black, and there are 38 of them unlike both the European and French variant of online live casino game which only have 37 divisions. Starting clockwise, the number sequence found on the online roulette wheel goes something like this : 0, 28, 9, 26, 30, 11, 7, 20, 32, 17, 5, 22, 34, 15, 3, 24, 36, 13, 1, 00, 27, 10, 25, 29, 12, 8, 19, 31, 18, 6, 21, 33, 16, 4, 23, 35, 14, 2. To understand how to play roulette, one must also look at the betting table which is found next to the dealer, and the different types of bets one can place with it. In the American variant, all outside bets are found on the same side of the table. The numbers found on the wheel are replicated on the board, in consecutive order and are separated into three different columns and twelve “streets”. It may be played by up to eight players at once, all of whom play against the casino. Once they have joined the video roulette table and have been assigned a specific color of chip, the gamblers must place their bets. Placing a bet is however much more than just dropping a chip on a number- there are several different types of bets one should become familiar with, the two main categories being outside and inside bets. Following this, the live dealer will give the wheel a spin and will introduce the ball to spinning in over it. They shall then pay out any winning bets and clear the layout for the next spin to take place. The layout of this free online roulette table also differs for it has one extra field for the double zero. The 00 pocket is what increases the casino advantage and allows them to make profit – a typical American roulette will offer a house edge of 5.26%. French roulette is often considered to be the oldest form of roulette, for it is said that this game originally appeared in the hexagon. American and European versions may be regarded as the two most popular variants of free online roulette, as the very first version of roulette remains highly sought after online. On the surface, French roulette appears to be very much like European roulette, yet there are significant differences between the two variants of the game. This includes the fact that on the French Roulette table, the bet names are written in French. You will come across terms such as “Passe”, “Manque”, “Pair” and “Impair”, however the English translation often features next to them in smaller letters. This may be considered as a superficial difference, for what truly differentiates both games is the presence of the La Partage and En Prison rules which can reduce the house advantage. The La Partage rule brings down the house edge, for it states that if you chose to make an even money bet and the ball lands on zero, you will receive half of your wager back. Like the La Partage rule, En Prison only applies to even money bets. If your table offers “En Prison” and a zero comes on the wheel, the croupier will place a marker alongside the bet, signalling that the bet is “En Prison” for the next spin. Winning on the following spin will allow the gambler to regain his original stake in its entirety! Moreover, French online casino roulette has the lowest built in house advantage out of the three main variants of this game. Aside from this, the rules by which French roulette is played are roughly the same than for American and European roulette. First, the player must place French bets on the layout using their assigned stack of chips. The dealer will then proceed to spin the ball around the wheel until it lands in one of the coloured slots. He will then place a marker on the betting grid according to where it stops and clear out all losing bets. As regards the lucky winners, they will be paid out. Based on a wheel with 37 pockets, the European online roulette is believed to have been created in 1842 by François and Louis Bland, two French brothers who were struck with an ingenious idea: removing the double zero pocket. Their version of the game became widely popular in Monte Carlo, for gambling was still illegal in France at the time. One of the many reasons for its raging success is the low house-edge of just 2.3% it offers. As we have mentioned above, a typical European roulette wheel has 37 divisions with numbers ranging from 1 to 36 in addition to a 0 pocket. The latter are alternately coloured in both red and black, whilst the zero pocket is green. Like with all variants of roulette, the gambler’s main objective is to accurately predict one which numbered pocket the roulette ball, which is introduced by the croupier, will land. For this to occur, every player must place bets on a particular number – or even a set of numbers. The dealer will then spin the wheel in one direction, while they spin the roulette ball in the opposite direction. As soon as the ball falls into a numbered pocket, the losing bets will be cleared, while those who made the correct forecasts will receive their due. As you may have gathered till now, there are three main variants of roulette you are likely to come across – American, French and European. At first glance, they may all seem very similar; however they differ in several ways. First of all, when you play roulette online or in a land-based casino, take a good look at the wheel – The American version has 2 zeroes (0, 00), whilst both the French and European roulette wheel only have one single zero which makes distinguishing American roulette wheels from the rest extremely simple. They also happen to have different layouts; the numbers are positioned differently. Another important thing which sets them apart is the different betting table layout. This is especially true for the French variant of online roulette, for all outside bets are on the same long side of the table, while in the case of European and French tables, they are split between the two longer sides. Furthermore, it is also worth mentioning that the French roulette game features roulette rules such as “La Partage” and “En Prison” which only apply to this type of free online roulette. It is also important to note a game of American roulette will have a lower RTP (94.74%) than with the European and French versions (97.37%) and it also has a different house-edge from that of European or French roulette. As a matter of fact, the extra zero pocket found on the American variant of online roulette also impacts the odds of the latter, making them lower than for its counterparts. Roulette odds on the American game for a bet on red or black for example will be of 47.37%, whilst on the European or French one, it will stand at 48.65%. This also explains why both their house-edge differ. Live Roulette : what to expect ? Thanks to live casino games, online casinos now offer a true to life gaming experience. Play from your computer, your smartphone or your tablet with the same sensations as if you were in a land-based casino! 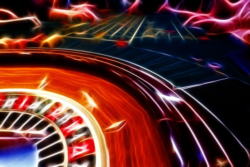 Live roulette is one of the most popular live casino games amongst players. Most incredible is the number of different live tables that exist. As a matter of fact, in order to vary the pleasures and assert themselves against competition, live casino providers demonstrate great imagination by creating more and more sophisticated and original live games. A game of live roulette takes place in the exact same way as a traditional game would, or nearly, since you choose the game table you wish to sit at while a live dealer who is in a recording studio or in a land-based casino conducts the game via video streaming technology. You are therefore not faced by a robot while you play like more traditional online roulette games but facing a human being with whom you can even chat. You may address them in writing via a live chat while they reply verbally facing the camera! To spice things up providers are continuously developing games with innovative concepts. Below, we are going to go over some of the most incredible live roulette games such as Evolution’s Live Speed Roulette which promises roulette games which are twice as fast, spinning every 25 seconds, the Roulette Live Beyond Live by NetEnt which is the first 3D, offering players a brand-new experience, or even the Double Wheel variant which allows you to play on two wheels at once from a single screen. Evolution Gaming is the provider which has the largest live roulette offering: Immersive Roulette, Immersive Lite, European Roulette, Speed Roulette, French Roulette, Native Speaking, Live Double Ball, Dual Play, Mini Live, Slingshot Auto, American and Live Lightning Roulette. Exclusive roulette games only available from Evolution Gaming. Tables for VIP players and high rollers. Every single one of their game tables are compatible with all types of media: computer, smartphone or tablet. A live chat to interact with the live dealer in real time. The Immersive Roulette was developed by Evolution Gaming to allow players to follow the game more closely thanks to a number of cameras placed all around the gaming table. When the dealer throws the ball you may follow every movement of the latter thanks to the different cameras which record the action from different viewpoints. Once the ball stops on a number, the images of its last movements are projected in slow motion for you to see exactly what happened. The Immersive version promises a gaming experience as close to the action as possible! This multi-camera live roulette game won the EGR‘s Game of the Year award when it was launched in 2014. The Speed Roulette by Evolution Gaming offers casino games which are twice as fast as classic games since they only last 25 seconds. In order to maintain this pace, the roulette never ceases to spin, and players place their bets while it is in motion. The roulette used was conceived especially for this fast-paced game and the live dealers have been trained to avoid all dead-time. The Live Speed Roulette guaranties an even more exciting gaming experience! Launched in 2017, this ultra-rapid live roulette allows players to benefit from around 50 extra game rounds per hour! With the Lightening Roulette, prepare yourself for an entirely new gaming experience, for Evolution Gaming adds spice to its live roulette by integrating a Lucky Numbers system. Indeed, during each round between 1 and 5 Lucky Numbers are displayed in the background, each of which bear a multiplier between 50 and 500. If the ball stops on a Lucky Number and you happen to have placed a bet on it, your winnings are multiplied by the corresponding multiplier! For an even more exciting gaming experience, the Lightening Roulette is presented in an ultra-modern decor and lighting bold reveal the Lucky Numbers. It should however be noted that winning numbers which are not part of the Lucky Numbers do not pay 35:1 like they would on a classic roulette, but instead only pay 30:1. This is how the casino can finance the winnings which are subject to a multiplier. Live Lightening Roulette was named EGR’s Game of the Year in 2018. Live Lightening Roulette RTP: 97,3% (based on optimal strategy for Split, Street, Corner, Line and all outside bets). On top of developing video slots, Netent also offers a whole range of live casino games under the brand NetEnt Live, including some Live Roulette. High definition videos for high quality streaming. The possibility of placing bets during spins. A chat which allows for interaction between players and live dealers. Games that are primarily thought out for a mobile gaming experience. The Roulette Live Beyond Live is a casino game which Netent developed exclusively for Mr Green. For even more intense sensations even closer to reality, this game is presented entirely in 3D. Unlike other Live Roulettes, the camera is not focused just on the table on which you are playing since it is the whole casino which is recorded with its 2 Roulette tables and its 2 Blackjack tables, as if you were in physical casino premises. To make things even more realistic, you can even see people walking around the casino, the players sitting at other tables as well as the winning numbers which land on the second roulette. You can really feel the special ambiance of the casino. Just like in a real casino, you can change table and move freely from one to the next, as long as the seats are available, evidently. NetEnt also thought of adding a replica of the roulette seen from above on the top left hand side of the screen in order for you to get a good look at the ball’s movements. This is a mobile game, meaning that you can only play from your smartphone (both in portrait and landscape mode). The Live Beyond Live Sports Roulette is aimed at players who also have an interest in sport, and especially those who place sports bets and who have a tendency to constantly check the results of the games on which they bet, even while they are playing casino. The results of the largest games of football or tennis or even the most interesting odds for upcoming bets are displayed on this 2 in 1 roulette which skilfully blends live casino and sports betting. But that’s not all, you can even discuss the matches with the live dealer thanks to the live chat which is at your disposal. That way, you can stay focused on your roulette bets without losing sight of your sports bets. This live specific version which also focuses on sports betting was launched bet Netent during the 2018 World Cup. Whereas it used to record its live roulette games in land-based casinos, Authentic Gaming opened a studio dedicated to Live Casino games in Malta, the Studio Arena, back in August 2018. The provider offers tables of Classic Roulette, Speed Roulette, VIP, Blaze, Double Wheel and Professional Roulette. HD quality videos, regardless of the medium on which you are playing. The Bet On Stats Feature which allows one to bet on those numbers which were hit the most during the previous spins. Mobile versions developed specifically to play on smartphone or on tablet iOS or Android. The Blaze Live Roulette by Authentic Gaming differentiates itself from others due to its unique atmosphere. To make this session stand out from the rest, the provider chose to add a musical background to it which allows to player to relax. It has also put a great deal of effort on decoration and on the light and shadow play which give the studio a modern and glamour edge. Even the table itself is illuminated by LEDs ! 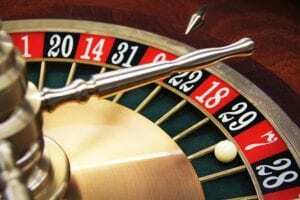 The game offers several options, notably the possibility of displaying the statistics of the roulette on a number of rounds that it is up to you to define. A fresh draw takes places every 45-50 seconds. There is no time to lose between each game since the provider has selected an auto-roulette even though a live dealer is present to host the game. Finally, the player beneficiates from a global view of the game thanks to 5 cameras which are all oriented towards different angles. Playing on two roulettes which appear side by side on the same screen is possible thanks to the Double Wheel Roulette, an original Authentic Gaming creation! This double wheel has been very well studied for the two drawings are slightly offset from one another for you to have time to bet on one roulette and then on the second. When the first displays « No more bets » it is precisely the right time to place your bets on the second. Two roulettes for twice as much adrenaline and higher bet frequency ! 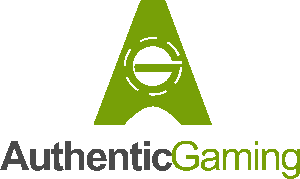 For this game Authentic sought simplicity by offering players a single and fix camera viewpoint. Likewise, one may notice the fact that there is no live dealer around the two tables. Roulette casino : where to play roulette online best ? You want to try your luck at a Casino table game? According to us, it is ideal for you to turn towards mega brands rather than towards small casinos which usually offer a narrower range of table games. A great number of roulettes and live ones. Live casino from leading providers (Evolution Gaming, Netent et Authentic Gaming). Offer exclusive for roulette games. Allow players which are interested in the “lucky wheel” to benefit from a special welcome offer adapted to their needs and wants for some casino bonuses are not compatible with table games.